Highway Z (just off Highway 78). Perry, WI. Directions: Take Highway 18/151 to Highway 78(just west of Mount Horeb). Take Highway 78 south about 7 1/2 miles, until you reach Highway Z (Highway 78 will curve left-stay straight to reach Highway Z). The church is located 1/2 mile after the two highways split (the church is on the left side of the road). 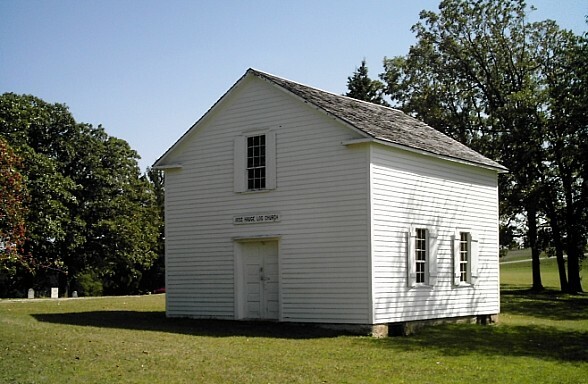 Built in the early spring of 1852, this 20 foot by 20 foot building became known as The Hauge Evangelical Lutheran Church. 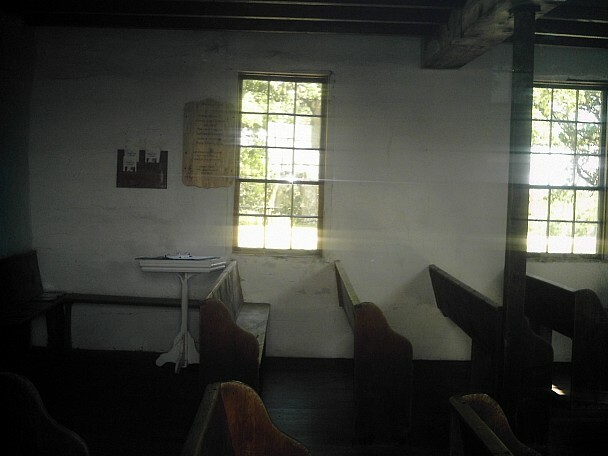 Comprised of mainly Norwegian settlers, the Hauge congregation stayed in this small country church for nearly 35 years. 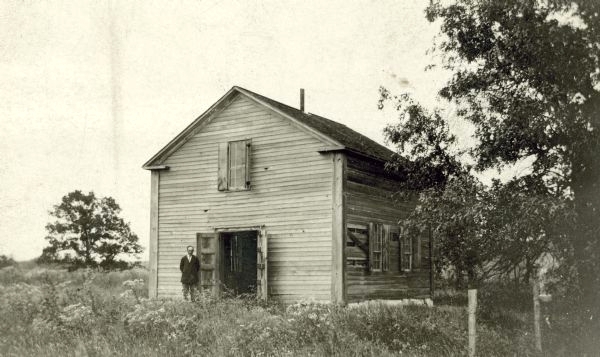 In 1887 the congregation moved to a larger building, and left the Hauge Church abandoned, and neglected for 39 years. 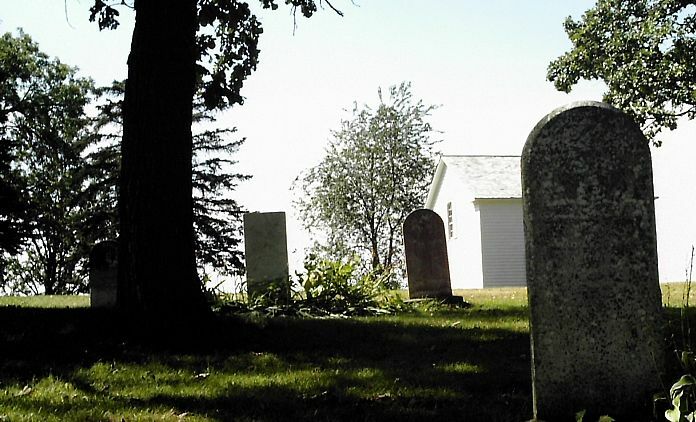 In 1926, efforts began to restore and take care of the church, and cemetery grounds. 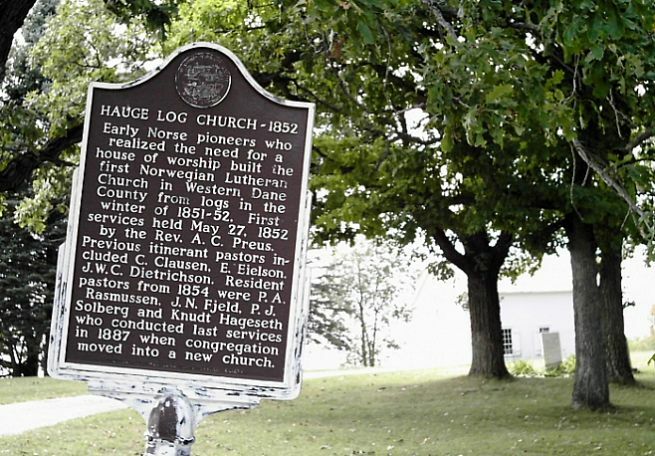 As a result of these efforts, the Hauge Log Church (as it became known), is not only still standing, but it was placed on the Registery of Historic Places in 1974. The sound of a woman screaming has been heard on quiet nights. source for the sound can be found). brushing past them, when nobody else is around. 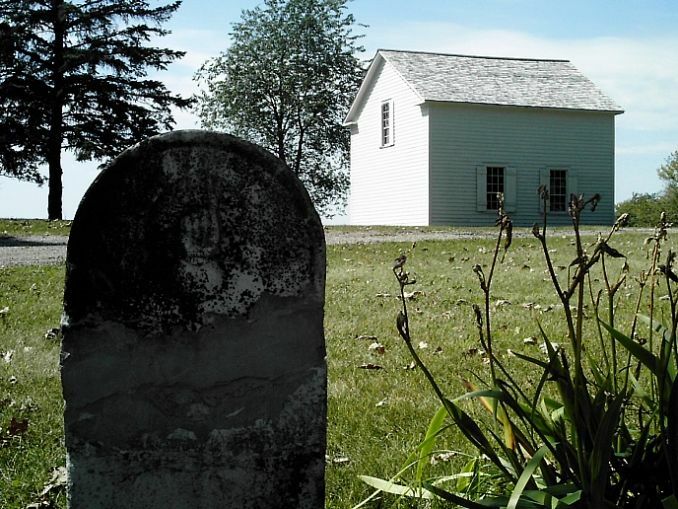 In it's history, The Hauge Church has been struck by lightning twice. It was when the church was struck a second time, that a woman was killed. 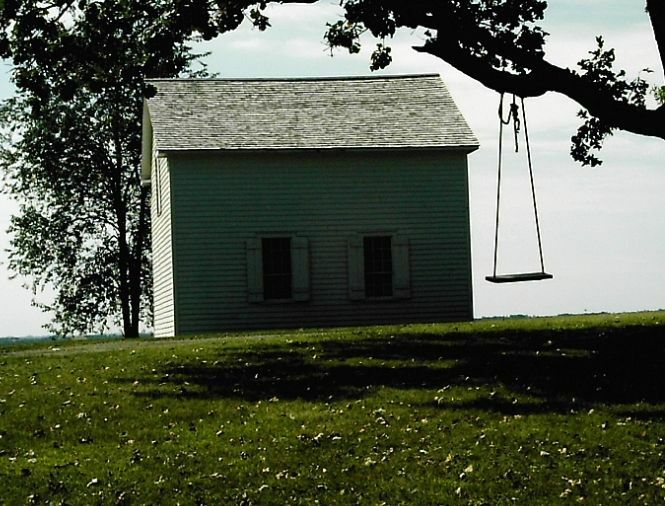 It is believed that she, is the one who haunts the church, and the area that surrounds it. 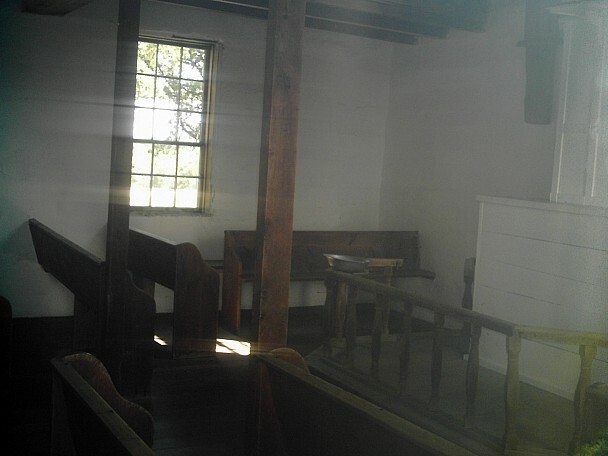 ....A look inside the church.